Finding an auto repair shop near your home is vital to any car owner. We depend on our vehicles for many aspects of our personal and professional lives. Being without your car can cause major disruptions to your routine and personal life. Considering the location of your mechanic can minimize these disruptions and help you to get back to your regular day-to-day schedule. For most of us, during the week most of our daily tasks involve going to and from work. When considering any auto repair shop near you, it’s always best to look for a location near either your home or work. That way when you need to pick up your car it won’t be too far out of your way. However, there are some other important considerations you should make. If you work downtown, then you may want to find an auto repair shop near your home rather than your work. Auto repair shops need to be fairly large to accommodate multiple vehicles so their rent can be a major expense. This could translate into higher repair costs so the mechanic can cover their expenses. Some auto repair shops provide a shuttle service to and from their location. At other shops, a mechanic or other employee may offer to drive you home. But the most reliable option is to find an auto repair shop near public transit. If you find a mechanic near a bus stop or subway station, then you know that there is transport readily available. Alternatively, cabs are a more expensive option. This is another reason why it’s best to look for an auto repair shop near you. Of course, convenience should never outweigh the quality of service or trustworthiness when you are trying to find a new mechanic. After typing “auto repair shop near me” into Google and doing your online research, it’s always a good idea to ask your friends, relatives, and neighbours. Chances are that if you consult with people or businesses in your area you’re likely to find a reputable mechanic near you. This approach allows you to take important information from your online research and whittle it down to a shortlist through personal experience. However, when you are considering anecdotes about a business take the length of their relationship to the auto repair shop into account. Also, consider how their needs may differ from your own. A convenient location is one of the most important factors in deciding on a new auto repair shop. Finding the right balance between affordable, friendly and quality service within a convenient location can save you a lot of aggravation. For that reason, it’s important to use the resources around you. Ask around your neighbourhood. 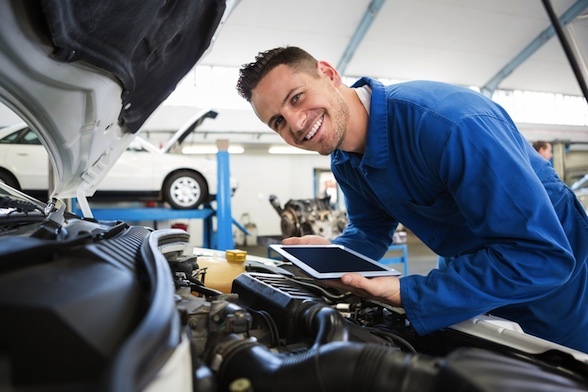 Furthermore, go and visit the location of the auto repair shop near you, and conduct an information session, ask important questions to give you a better understanding of the business. After you’ve gathered all this information all you need to do is meet the mechanics and get a feel for the shop.